Hard to believe it’s been a year already. On September 12th, 2009, I was one of the lucky people who had the chance to attend Symphonic Fantasies, a symphonic tribute to Square Enix. With a set list featuring Kingdom Hearts, Secret of Mana, Chrono Trigger/Chrono Cross, and of course Final Fantasy combined with the presence of the original composers, it was sure to be a memorable night for game music fans, and indeed it was as I detailed in my report. 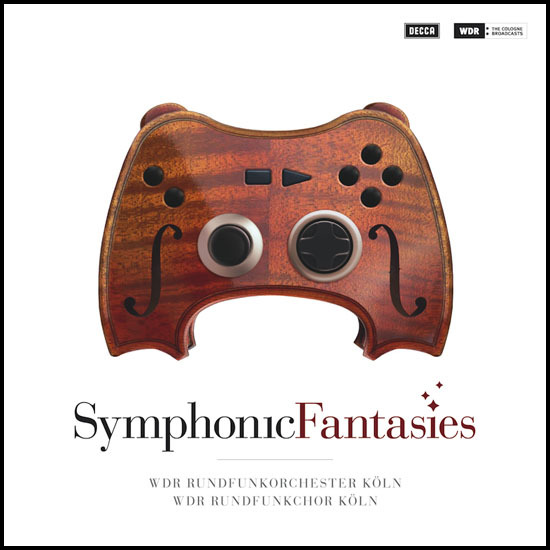 Like Symphonic Shades before it, Symphonic Fantasies was finally scheduled to have a CD release, and the pressure was on for producer Thomas Böcker and his staff to achieve the same amazing production qualities as the Symphonic Shades CD offered. Today, the day has come for fans to finally hear the results of the hard labor of the WDR team. Does the album offer equally amazing sounds and emotions through your stereo system? Click the jump to find out. Just on paper, all aspects of this CD are quite impressive. Recorded live during the concert, it was then mixed and edited at the WDR Studios before the material was sent on to Abbey Road Studios for further production and mastering. Abbey Road Studios is of course the world famous studio located in London where amongst many other legendary acts John Williams produced his Star Wars soundtracks. So it’s quite the bragging right for a game music CD to have an association with such a prestigious studio. The CD case is presented with a lavish wooden carved game controller designed by German art team Schech and is quite effective with its eye catching motif on a white backdrop. It’s a perfect illustrated symbol as it does exactly as the music does, combining traditional elements with material made with new technology. 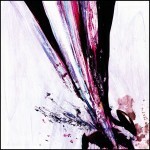 In the West, the album is published by DECCA while in Japan it will be released by Square Enix’s own publishing label. 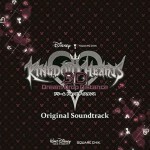 The album contains 5 tracks total, with 4 of them being medleys from arguably the most famous games from Square Enix. All the arrangements are done by Jonne Valtonen (who some may know as Purple Motion from his demoscene days), so all the material you hear was exclusively created for this concert. In addition to arranging the music, he also composed the original fanfare for the event titled “Fanfare Overture.” Despite being completely original, one would not be able to tell from merely listening to it–a testament to the strength of Valtonen’s composition skills. With a bold and adventurous melody utilizing the entire orchestra, it sets up what is in store for you during the course of this album and introduces the various talents of the WDR orchestra. 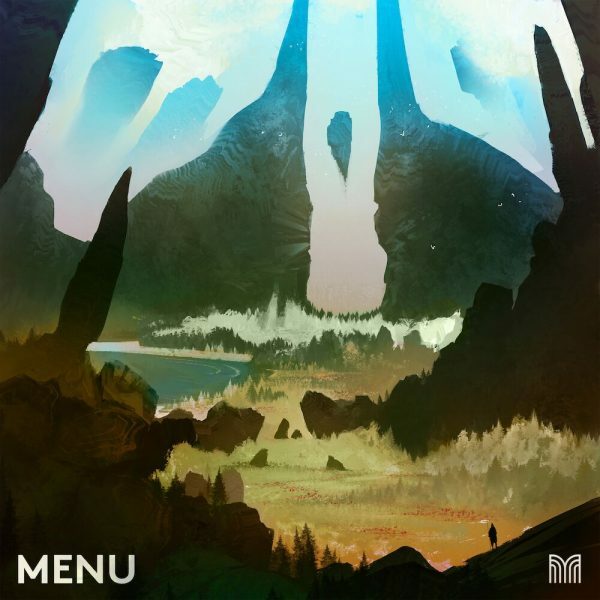 At every play through I find myself as equally impressed by the composition of this piece as I am with the works of the well known videogame composers. Thankfully the decision was made to leave the applause from the audience, which is always a small pet peeve of mine when left out as I feel the appreciation from the crowd is very much part of the concert experience. Our first medley is the youngest franchise to be included, but certainly no less worthy of its inclusion by any means. Kingdom Hearts has grown to be a dear favorite in many gamers opinion thanks to the incredible versatility and skills of Yoko Shimomura. The WDR is here joined by young Benyamin Nuss, a German piano virtuoso who has kept on amazing listeners since his rise to public knowledge on Symphonic Shades. Like always, his performance here is nothing short of incredible. The piece has quite the emotional range with moments of sadness, romance, grand epic and darkness featured side by side. From the gentle piano touches of “Dearly Beloved” to the epic orchestration of “Hand in Hand,” Nuss never misses a beat, and the piece never loses the emotional connection with the source material. Exceptional examples of this can be heard during “The Other Promise” and “Happy Holidays” which are each on the opposite side of the spectrum, but within this piece it’s never unnatural for your emotions to follow along as the melody flows on through clever arrangements. At 15 and a half minute, it is actually the shortest of the medleys. The next fantasy on the album is the most exciting inclusion, Hiroki Kikuta’s legendary Secret of Mana. Despite its status as a fan favorite it has never really gotten the symphonic treatment many others have, and so with Symphonic Fantasies expectations were soaring in my heart to hear this one in particular. As amazing as the experience was live, it is exceeded on this album. The game is quite a spiritual journey and Kikuta’s compositions reflected that in the game, and so does the WDR with their incredible performance. The song makes use of the choir in unexpected ways as they rub their hands, tap their feet and even make small ticking sounds to create sounds of rain, wind and living nature. Maybe in a bit of foreshadowing of this CD, these naturally created effects makes up an extremely impressive atmosphere which is furthered by great production of the CD. The source material is very spiritual and touching with a playful edge to it, which Valtonen manages to reflect in his arrangement through heavy use of the choir to portray the spiritual side and the orchestra to deliver the striking and powerful melodies. While this piece has fewer included songs than the other medleys, it manages to be the most interesting in my opinion with all the interesting details and effects. The third fantasy is a cross medley between Chrono Trigger and Chrono Cross. Often performed as a combined piece at various concerts, this arrangement is as earlier noted all new and exclusive by Valtonen with some added help from Roger Wanamo. 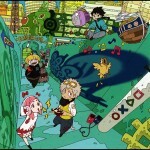 This medley doesn’t just string the songs from the two games together, they truly do cross each other. The opening does foreshadow the ending by layering the melodies on top of each other, but before that you get the best renditions of “Chrono Trigger,” “Peaceful Days” and “Frog’s Theme” ever recorded. The ending is probably the best moment on the entire album as the main themes from the games are layered together seamlessly while short interplays from other memorable melodies come in. It was a moment where people were standing in tears during the live event and hearing it again here, it’s easy to understand why it got to them. It’s truly a moment that can never be duplicated, and I doubt anyone would perform it as well as the WDR as they are in a class of their own here. Accompanying them on this track is world famous darbouka percussionist Rony Barrak. I’ve had the pleasure of seeing Barrak live a total of 10 times just over the course of the last few years, and his performances are always an incredible sight to see. While his finger coordination cannot be showcased without seeing it, he adds some great rhythm to the track and his parts are well mixed never to be drowned out by the orchestra. The final piece is fittingly Final Fantasy. The challenge here was for them to pick out a balance between all time favorites and relatively underplayed material from the vast library of Final Fantasy music, which itself is not an easy thing to do. The expectations to all things Final Fantasy are almost unachievable, and there are some brave omissions done to this medley, but luckily this becomes part of its strength in my opinion. The song in mind is obviously “One Winged Angel” which, while teased, is never fully featured. Despite this the medley is so incredibly strong that it proves the point that you don’t always need to go to that particular song to satisfy the fans. This medley more so than the others is more traditional as it goes through the melodies one by one rather than interchanging them or layering them, which works in its favor because Uematsu’s compositions are so strong that they work well on their own. You do get the dearly loved classics like “Chocobo Theme” and “Prelude,” and you also get the welcomed addition of “Battle at the Big Bridge” and “Phantom Forest” which sounds absolutely amazing with a chilling, thought-provoking and haunting melody. Overall though, this medley has a more uplifting nature with the teases generating laughter from the audience, and the “Final Fantasy” theme ends the album effectively with the melody most fans find synonymous with the name Square Enix. It’s hard to criticize a product that is as astonishingly detailed and cared for as Symphonic Fantasies. Some would probably say it is a bit of a let down to be teased “One Winged Angel” but never getting it, but in that case there was an encore that did not fit on the disc which contained a plethora of boss themes across the different games featured, and this encore will be released digitally if you still lust for that particular song. There are a few instances of crowd noise during the songs, but it’s hardly noticeable and when it is, it’s an uncontrollable aspect to live recording, and as such hard to blame on the mixing of the CD. As proud as I was attending this wonderful concert, I am just as proud owning this CD because it truly is the best symphonic game arrangement CD you can get your hands on. For every game music fan out there, especially the ones with a taste for Square Enix, this is the definitive pick for you. But enough (nice) talk. Have at…eh, you get the drift. — The legendary (hehe bilingual puns rock my world) Secret of Mana has a lot more music to offer than was featured, I felt. Rather, it deserved more. Naturally the feel of the whole piece, as you said, was spiritual, so the emphasis on ‘Angel’s Fear’ is only to be expected, but my memories of the game and its music are far more energetic. ‘Into the Thick of It’ really got me excited, evoking so many memories of Mush-booms in the forest, but from there the medley seems to wander away from the diversity of the source material for me. The half-baked ‘Meridian Dance’ in the encore sort of made up for it, but not really. I still wait to hear ‘Danger’ performed by an orchestra…BUT if we consider the aim of the arrangement to be one of a specific mood, then I can understand the exclusion of more upbeat tracks. — The Chrono medley…no, okay. It’s perfect, it really is. — The encore (not on the cd) let me down in two ways. Destati was just wonderful and the OWA twist novel but a little overdone. First real criticism is with Meridian Dance. By preferencing OWA time-wise, the medley slices Dance clean down the middle, sacrificing the frantic lead-in to the ‘chorus.’ Second criticism: Lavos is okay, World Revolution would have been so much better. Neither is technically the ‘end-boss’ music of Trigger from memory, but World Revolution is, to me, CT’s answer to SoM’s Meridian Dance. …Okay, I’m done. I know it seems harsh of me but it’s only because the production values and prestige of the event set my standards really high to begin with. It’s still probably the best live Square-Enix music I’ve ever heard, and the pioneering (at the time, as though it was so long ago) decision to stream it made a lot of us global fans of Squeenix very, very happy. Thanks again for a great read, Audun. Very nice review Audun! I’m glad you had as much fun revisiting it as I did. Wes, while I had a few criticisms of the release, I totally disagree with the ones you make. It seems that you were more looking for medleys jam-packed with themes. However, I think the main ambition of the concert was to form artistically appealing suites with strong dramatic archs after all. Packing even more themes in there would have ruined this, while the focus on themes like Angel’s Fear and Chocobo helped to make the fantasies more cohesive as wholes. But after the reviews of Distant Worlds II and A Night in Fantasia 2009, I pretty much figured that we have very different appreciations for orchestral music anyway (and indeed the plasce and purpose of symphonic game music in general). I’m a guy that loves big ambitious symphonies by Mahler, Shostakovich, and Beethoven. On the other hand, I don’t care at all for jagged medleys that present nothing but successions of unrelated melodies in unchanged form. I tend to agree on the same points with Wes, although there’s no denying the astonishing achievement this album represents. 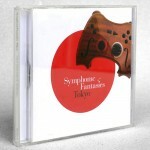 Hopefully, Symphonic Fantasies will be the first of many in a second wave of orchestral performances covering the classic Squaresoft library. Man, can’t wait for this. Is there going to be a digital release? Oh, yes, there is, cool. My second ‘criticism’ sits nicely between the others but says just as much. If they could manage it with Chrono, there’s no saying it couldn’t have been managed with the others. I disagree that the inclusion of a broader range of tracks from the FF canon or from Seiken Densetsu 2 for their respective arrangements would have resulted in a ‘jagged medley.’ ‘Jam-packed’ is certainly too drastic a term for what I desire in an arrangement — one of my favourite video game arrangements is the ridiculously long (almost 20 minutes) Symphony Ys 95 Track 1 — and all that consists of is subtle iterations of ‘Feena’ and ‘First Step Towards Wars.’ On an orchestral front, I think Matsuo arrangement of ‘Radical Dreamers’ for ANIF09, which was over 5 minutes, really showcased how you can take a game melody and explore its nuances. Usually I take it to mean that a suite or medley is being performed mostly to save time and cover a greater range of subjects, so it’s less me that wants ‘jam-packed’ than an assumption that this is the prime function of condensed, integrated themes. I won’t disagree that this can result in smooth, gorgeous fluidity, but I don’t believe it is always the goal either. In this case, it clearly was. Like I said, they did it beautifully with Chrono, capturing the spectrum of the two games. Don’t believe they were as successful with a few of the others. Does anybody know if they have a plan to feature SQEX’s other franchise? (e.g. SaGa, Ivalice). I know they just selected four of the most loved games and composers (one being a “has been”, maybe) for various reasons and while there was nothing wrong with that, perhaps less bombastic chorus and selections from a bit less main-stream materials would make me happy. No, there are no such plans. I don’t believe those titles made a big impact in Europe. I totally agree with Wes that there is certainly room for *more* music to fit in the FF medley and the Mana medley. But it didn’t matter because the performances were so strong, it was like … why complain? If trying to work more songs into the medley would have decreased the quality of the arrangements, that would’ve killed it for me. We see in CT/CC that it wasn’t the case, but we don’t know what constraints rested on Valtonen and crew. ANNNNYWAY, next week is the Symphonic Legends concert. I’m psyched! does anyone know when this is released in the US?